First up in my series of interviews with some of the UK’s top bloggers is John Adams. 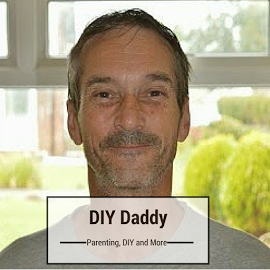 John without a doubt in my opinion is the number one dad blogger in the UK today. His blog is always fresh, new and innovative, and there are not many days that go by that I don’t read it. I am very fortunate to call John a friend, but also somebody that has helped me massively on my blogging journey. I feel very honoured and privileged in having John agree to being interviewed on my blog. So a massive thank you to John. I hope you all enjoy reading John’s answers to my questions, just as I did. Here is a little bit about John to begin with. John Adams writes Dad Blog UK. He lives on the London/Surrey borders with his wife, Gill, and their daughters, Helen, aged nine, and Izzy, aged five. Back in 2011, John left the workforce to become the main carer of his kids while his wife works full-time to provide financially for the family. In his twenties, John had been a journalist. He wanted to get back into writing so he started blogging as a way to get back into writing while also telling his story as a man who gave up his career to look after the kids and run the family home. Now the all important questions. I started blogging in 2012. Having previously been a journalist, I wanted to get back into writing and a blog seemed a good way to do it. At that point in time I had been my daughter’s main carer for a year (we only had the one daughter at the time). 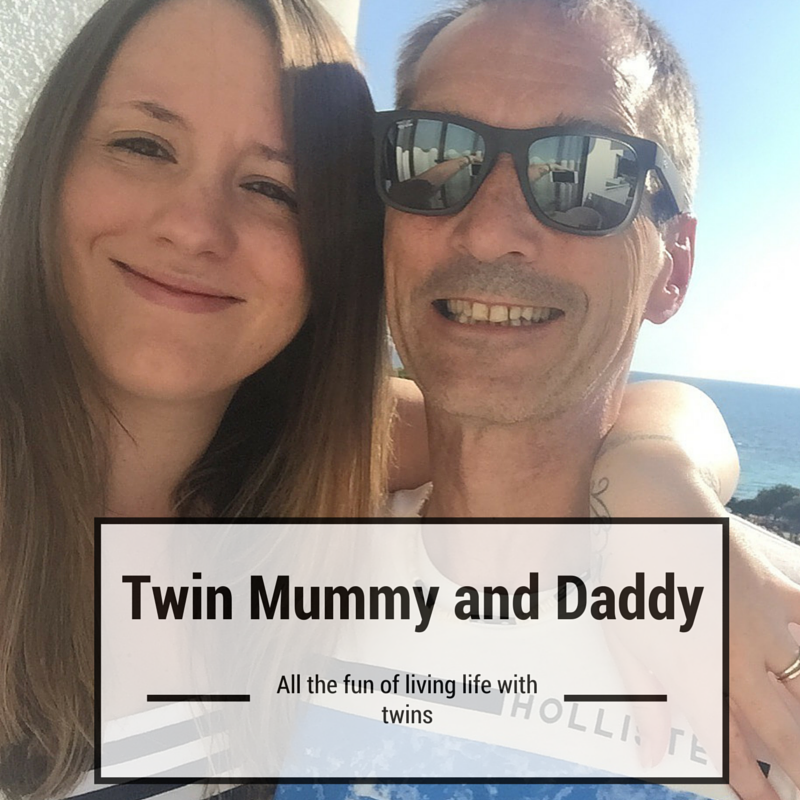 I was quite taken aback at the casual sexism I faced as a man who ‘held the babies’ and so I started the blog to highlight the issues I found myself dealing with. 2. You trained and worked as a journalist, how has this helped you when it comes to blogging? A background in journalism has helped to a degree. What’s been more fascinating has been to see how digital media, social media and blogs have utterly decimated my old industry. Sure, my background was useful but there are all manner of skills that a blogger needs that a journalist doesn’t such as SEO and being able to write. That may surprise some people, but I mean that in all seriousness. There’s a saying among journalists that reporters bring in the stories and check the facts, but it’s the sub-editors that actually write the material! You don’t get sub-editors on a blog, you have to do it all yourself. I take some notice of statistics but don’t obsess over them. If you obsess over stats, you aren’t producing good content. Oh this really does depend. There has to be some relevance to me or family life. If there’s no relevance, I politely decline. In truth that’s a very broad remit that covers everything from toys to mobile phones. Even so, I things down all the time. I am going to give a really dull answer to this because I think the secret is very simple. You need to produce good quality, original content. That includes producing good imagery. You then need to use social media in a positive way to promote your work. I guess I would expand on that to say blogging isn’t simply about your blog. Your social media channels are an extension of your blog and you should treat them that way. The greatest piece of advice here comes from Jo Middleton who writes the Slummy Single Mummy blog. Jo’s was one of the first blogs I ever read and she said that when she started blogging, she did as little housework as possible. If you’re going to take blogging seriously….avoid housework! In all seriousness, my youngest daughter is now at school so I can spend time each day on the blog. Although I am doing more freelance and blogging work, I remain my kids’ main carer and my wife is out the house for 11 or more hours a day. The kids are my priority. 7. You have made many appearances on radio and television, is this something that comes naturally to you? I don’t know if it comes naturally to me, but I do enjoy it.That said, I’m always terrified before I go on air. Prior to my blogging days I did a live radio interview and I did no preparation and was feeling all confident and cocky. I learned a valuable lesson because I messed it up massively while all my work colleagues were listening on the radio in a neighbouring room. I’ll give you another example. I recently made an appearance on the Wright Stuff and it wasn’t until I got to the studio that I discovered Christine Hamilton was going to be on the panel questioning me. I did not expect her to have much positive to say about stay at home dads and was expecting a rough time of it. Before going on air, I was in the Green Room on my own pacing up and down because I was terrified. Occasionally someone walked in and looked at me like I was mad when they found me pacing the room! I think people who work in TV forget it can be a stressful experience. I needn’t have worried. While I may not be a fan of her politics, Christine was charm personified. 8. Many bloggers won’t talk about or use photos of their children on their blog. What are your feelings when it comes to talking about your children on your blog? It’s a personal thing and everyone has a different opinion. I would find it very hard to blog and write about family life without using some images of my kids. Truth be told, I do see bad practice among bloggers, but it’s what non-bloggers post to Instagram and Facebook that frequently leaves me shocked. The worst example that springs to mind was from a mum who was celebrating the arrival of her kid’s first passport. To celebrate, she posted an uncensored photo of the back page on Instagram. Passport number, date of birth, photograph of the kid….everything you’d need to steal that kids’ identity; bam, online in one small Instagram post. Just unreal. I have rules I adhere too. My kids are always fully clothed in imagery I use. I won’t use imagery of my kids in school uniform, in swimming costumes or visiting the doctor etc. I simply wouldn’t feel comfortable doing that. For anyone interested in protecting their family’s privacy, I suggest stripping the metadata from any images you use (Googlewhack it, it’s a simple process). I’d also recommend keeping the location services turned off on any wireless devices you use for taking images. If the location services are turned on, they are automatically geotagged with GPS data and criminals have been known to use this data to work out when properties are empty etc. 9. You have won awards for your work on your blog. How important is it to win award for your blog? I think this has to be seen in context. For the first four years I was blogging, I didn’t win a single thing. Even today, I could be involved in a freak incident with a meat slicer at a butcher’s shop, lose several fingers and still have enough on one had to count the number of awards I’ve won! Awards are great for raising the profile of your blog and it has been wonderful recognition for the amount of effort I put into Dadbloguk. Even so, I refer you back to the point I made earlier: Concentrate on producing good content, not winning awards. The latter won’t happen without the former. 10. As the premier dad blogger and influencer in the UK, do you feel under any pressure or certain responsibility in regards to the content you publish? Oh gosh, you’re too kind. I guess this is a reference to Vuelio’s Top UK Daddy Blogger list? It genuinely came as a surprise when last year’s Top 10 was published and I saw where I was positioned. It’s another example of personal opinion isn’t it? Some people don’t think I’m the UK’s best daddy blogger, which is absolutely fine. Regardless of what anyone thinks of me, I think I can get away with saying that, having been blogging for a while, I do have a certain profile. It’s weird, but I am occasionally recognised when out in public. On that basis, I do feel a certain responsibility. I always declare paid-for content, I don’t ‘do’ social media spats etc. I’m perfectly happy to write controversial material, I simply try very hard to make sure it is fair and well argued. 11. If blogging was eliminated tomorrow, what would you do to make a living? Absolutely no idea. Next question. 12. What do you think your children will think when they are teenagers about how their early life has been recorded online? Happy or mortified? I hope they’ll be happy. I won’t deny it, I do worry about this. I simply hope they appreciate I blog not only because I love it but to pay for their swimming lessons, school uniform and so on. 13. When family or friends find out you are a blogger, what is their reaction? I’ve been doing this for so long now that all my family and friends know! I’ve never actually encouraged family of friends to read my blog. They’re free to do so, but I’d find it slightly limiting if my latest blog posts were being dissected at every family gathering. 14. Since you have started blogging, do you think it has changed and how? Oh yes, blogging has changed. There’s more acceptance of the influence of dad bloggers, for instance. Four (ish) years ago, I would receive emails on a daily basis addressed to “Dear Mummy”. It still happens, but not nearly as much. When I started blogging, Google+ had just launched and everyone piled into it. Mention Google+ to a newbie blogger today and they’ll stare at you blankly! Also, as blogging has matured, more people have turned it into an occupation. That said, some of the most creative blogs are produced by people who don’t write any form of commercial material. It makes sense, they aren’t under pressure to keep paying clients happy. We’ve also seen the rise of vloggers and podcasters. These days you must also be active on Instagram and, of course, Instagram has gained huge amounts of ground on Twitter. Yeah, many changes. 15. Is there any subject you won’t write about on your blog? If so what and why? Yes, certain subjects are off limits. I have a life to lead and two kids to raise and blogging takes up enough of my time. Certain things should be kept private. I can’t really tell you what subjects, I’d simply summarise by saying anything that I thought would embarrass my wife or kids. 16. Do you find Pr’s and brands easy to deal with? PRs and brands are very similar to bloggers: There are good ones that are easy to work with and there are awkward ones that are challenging to work with. I’m sure all bloggers have had to deal with ham-fisted approaches, late payments and demands that no-follow links are converted to follow links. I’ve had many such experiences but there is another side to this. In addition to journalism, I spent a few years working in PR. Bloggers aren’t like journalists. The level of experience, understanding of PR and technical knowledge varies massively among the blogging community and that makes the PR executive’s job very tricky. 17. Where do you see your blog in five years time? Will you still be writing it, or will you have moved onto something else? I will be very surprised if I am not blogging in some capacity. I have a few things planned, but I’m keeping quiet for now. 18. What has been the most exciting thing to have happened to you from being a blogger? That would have been the day I received an email from the charity Movember who contacted me because of my interest in fatherhood. I skim read the email at first. It said something about being on a panel of an international men’s health project and that I’d be needed for a meeting. It was only when I got to the bit about the meeting being in Melbourne in Australia that I started reading the email properly! As the meeting was during school term time, I was going to decline. It was my wife who persuaded me to accept. I am so glad I did it. I eventually went out to Aus twice and while my involvement in the project was minor, the passion of the Mo Bothers and Mo Sisters was immense. It was awesome to be involved and it all came about because of the blog. 19. What has given you the most satisfaction from blogging? Not everyone agrees with what I write, especially when I write about equalities and fatherhood. I don’t care if people agree, so long as their opinions are challenged and that we can engage with each other in a respectful way. The greatest moments of satisfaction come when someone has read something I’ve written and said it has made a difference to them. 20. Finally did you ever in your dreams think you would become the number 1 Dad blogger in the UK when you started? Whether I am number one or not is a matter of personal opinion. Other people can decide that for themselves! What I will say is that blogging has provided me with some truly amazing opportunities. The people I’ve met and things I’ve done have surpassed my wildest dreams. I must, however, temper that. Some people think blogging is all about getting freebies and looking gorgeous on Instagram. If you take blogging seriously, nothing could be further from the truth. It is hard work and requires immense effort. Any opportunities I’ve received have come about because I’ve worked for them. That said, I love blogging. I have a passion for it and it enables me to earn money and fit it around my family commitments. If I were a woman, people would call me a mumpreneur. Thankfully I’m not a woman as I can’t stand that phrase! On that note, I have to go. We have a National Trust place to visit and I have to get my kids ready. It’s been a pleasure answering these questions. Thank you Nigel. Do You Trust Your GP’s Practice? You really don’t want to peak into my brain. Terrifying place. Haha! Well done John I was fascinated reading all your replies, I learnt so much and feel very encouraged to keep ignoring the housework. Thanks Nigel for giving me this opportunity. really appreciate being asked to kick this series off and it was fun answering your questions! Really great to hear more about John and he’s got a new subscriber out of this interview alone! Thanks for sharing with #TriumphantTales, hope to see you again next week! It’s always fun to get a peek at the person behind the blog. Im very impressed at you being on The wright Stuff, a top program. It can only go downhill from now! You’ve kicked off what looks like being a great series with a true gent and superstar in the blogging world. Great to have a peek behind the blog. I love discovering new bloggers. Gotta check him out. Great interview, BTW. Fantastic interview Nigel. I think John is a brilliant blogger and was slightly jealous when I found out he got to interview Steve Carell – I’m a huge The Office fan! Big guns? I tend to think of myself more as a .22 air rifle, but thanks for the compliment! Glad you enjoyed the interview Helena. Fulls of insights and information! High praise indeed.